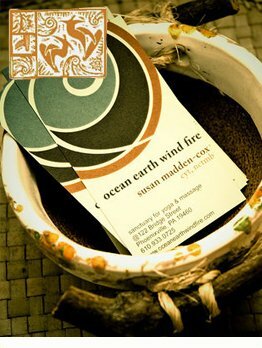 Registration/Payment - ocean earth wind fire : Sanctuary for Yoga, Massage & Whole Living : Phoenixville, PA. ocean earth wind fire : Sanctuary for Yoga, Massage & Whole Living : Phoenixville, PA. Please select from the options below and click the ADD TO CART button. The Shopping Cart contents will appear below. When you are ready click on the Check out with PayPal button. ** NOTE: Please print your Paypal receipt/confirmation and bring it to the studio to pick up the class card. ** Workshops, class packages, and training fees are non-refundable. In the event of a medical emergency or studio-dictated cancellation, refunds may be given at the discretion of the owner within thirty days.